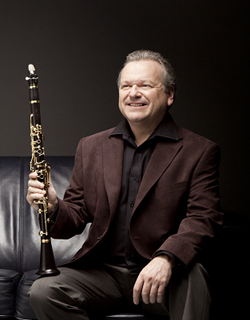 One of the most distinguished musicians of his generation, Michael Collins MBE is a soloist, chamber musician and in recent years a highly regarded conductor. His pure tone and refined, flexible musicianship have earned him many fans, copious awards and accolades, and a massive professional reputation. Vanessa Latarche’s concert career has taken her to Europe, the USA and the Far East, as well as many festivals within the UK. She is Head of Keyboard at the Royal College of Music and a renowned pedagogue with many international piano competition prize-winners amongst her students.